Let's all take a minute to laugh at the fact that I had to look at my phone screen to see what day of the week it is. This momma is definitely having a rough time keeping track of time, that's for sure! Anyway. This is the part where I insert a cute picture of my baby. Because I'm now a mommy whack job. As you all know from this post a while back, I'm going back to school in the fall. I love school, and I am sooo super stoked that my tuition is covered! You know what isn't being paid for by the university, though? My textbooks. I personally think that that is super dooper lame, because college textbooks are more expensive than diamonds. Or kidneys. Or, ya know, something else that's really expensive. 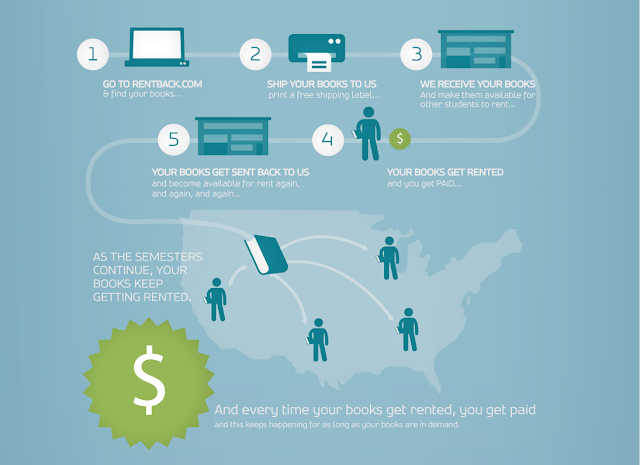 Buying books is expensive and recently there's been a push for renting textbooks, which is great, but it still costs money. If only there was a way to make money with this whole textbook thing (and I'm not talking about the $5 your university offers you for your book at the end of a semester... let's get money that allows us to go out to dinner and eat off of something other than the dollar menu at McD's). Smart, isn't it?! As I write this, I'm taking inventory of all my textbooks that are sitting around. I mean, the money from renting out your old textbooks may not pay for all of your new textbooks, but it's money in your pocket with virtually no effort from you. What are you waiting for?! Go make some money (you can thank me with a nice steak dinner). **I did receive compensation for this post, but all opinions are 100% my own. Kind of wish I'd known about this when I was in school! PS.... Elsie is so cute! I've always sold my old textbooks to Barnes and Noble. They pay pretty good $$ (at least a heck of a lot better than where I bought them from). oooohhh I may need to go this route! I usually sell my books through half.com but I've been slacking lately and they are expensive!! What the? That's SUCH a great idea. I'm excited for you to get back to school and even more excited that your tuition is covered. My boss is in the process of trying to work that out with my company's President since she knows I've been wanting to go back for years. Just don't have the monies. Story of my life. Baby cakes looks adorable in yellow. 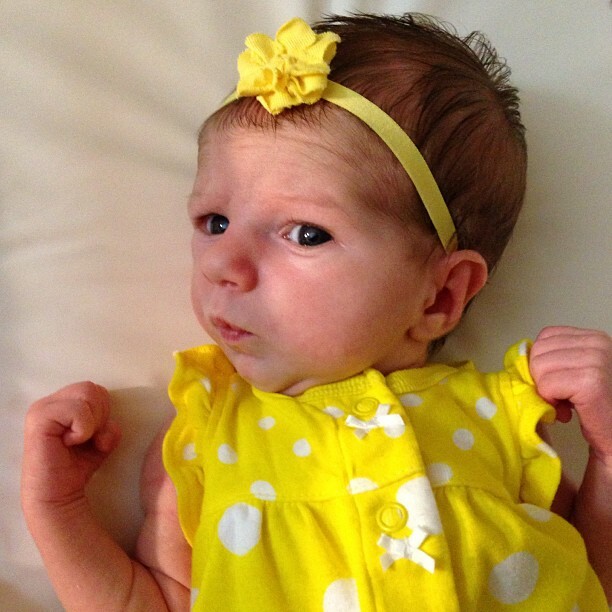 I want to see more baby pictures. She is too cute for words. Also, we should google chat this week, I'll be off and home, especially Monday and Tuesday. All of my textbooks are old, and the new editions are out, otherwise this is an amazing idea.